Today's teens and pre-teens – members of what's been called "Generation Next" (a.k.a., "Generation Y" and the "Millenials") – have grown up in a very different world than the vast majority of educators in today's day care center's, elementary schools, high schools, colleges and universities did. Members of Generation Next – born in the mid-1980s and 1990s – have postmodern sensibilities, lightning quick minds and short attention spans. They covet technology, using it extensively not only to learn about the world and to entertain themselves, but to communicate with one another. This is a unique and advanced crew – one that is not likely to be moved by nor motivated by the educational methods of yesterday. 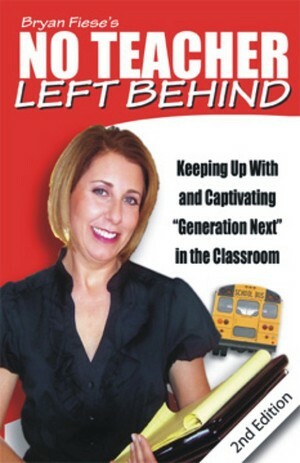 No Teacher Left Behind - Empowering Generation Next.. The script has flipped. With such highly active, independent, inpatient, creative, intelligent and demanding minds filling today's classrooms, it is now the teachers who are, in a sense, at risk of being left in the academic dust. Gone are the days when teachers could educate and command respect by ruling with an iron fist. "Motivation via intimidation" no longer works. With Generation Next, we have reached the Age of Empowerment. These individuals seek coaches and mentors, not autocrats. Thus, educators who continue to cling tightly to traditional teaching tactics, theories and philosophies will fail.